Perfect for those with limited space. Sunshine Greenhouses are made of durable and attractive redwood (second growth so that we can help preserve our ancient forests) and a recycled plastic base for a natural look. 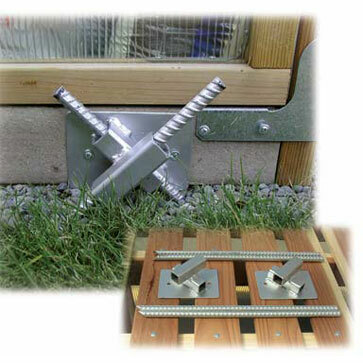 A solar operated large roof vent and back base vent are included for optimal ventilation to keep your plants healthy. Superior craftsmanship makes it easy to assemble. Easy of Assembly: Easy. Allow a day and two people to assemble. 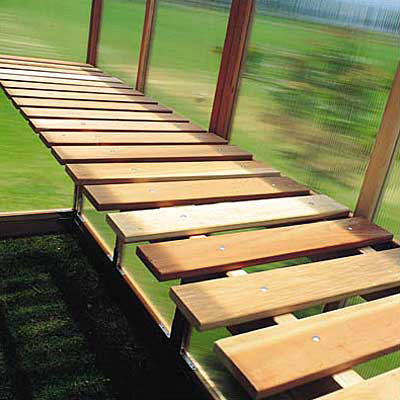 Why are the Sunshine Greenhouse Kits made out of Redwood? Redwood is used for its dimensional stability. Wood acts like a sponge; when it absorbs moisture it swells and when it loses moisture it shrinks. Redwood has thinner cell walls which shrink and swell less than other woods, so redwood is less likely to warp, split, cup or check. Why should a person buy a greenhouse made out of redwood? There are many reasons including it's natural beauty and durability. Redwood heartwood is naturally resistant to decay and insects. Redwood is an excellent choice because it is easy to paint, stain and glue, and no other softwood holds paints, stains and other coatings better than redwood. Do I need to finish exterior redwood? Though redwood will perform better than most other woods if left without a finish, it will look better and last longer if a protective finish is applied and maintained. How do I keep my new redwood greenhouse looking new and natural? Clear water repellent finishes containing mildewcides help preserve the natural appearance of redwood siding. They may not, however, prevent the natural color changes associated with the weathering process. Clear water repellents or water repellent preservatives are the most natural types of finishes, but they are also the least durable. They require reapplication every one to two years. These finishes can be used on decks, fences, siding or other exterior projects. What type of finish is more durable than clear water repellent but still retains a natural appearance? Transparent and semitransparent stains may last from three to four years. These finishes contain pigments which protect the wood from the degrading effects of solar radiation. The best products contain water repellents, mildewcides and ultraviolet light blockers or absorbers. When selecting a pigmented stain, CRA recommends testing finishes on a small area to be sure the desired color effect is achieved. Transparent stains contain less pigment than semitransparent stains and provide a more natural look. These finishes can be used on decks, fences, siding or other exterior projects. What finish should I use on the interior of my redwood Sunshine Greenhouse? A wide variety of finishes can be used on interior redwood, including the option of using no coating at all. Areas, such as kitchens and baths, which are subject to moisture need the most protective finishes. Alkyd resin or polyurethane sealers and varnishes are appropriate for these areas. Elsewhere, wax finishes, penetrating oils, stains and paints may be used. Are there any special precautions I should take when painting redwood? Redwood takes and holds paint better than most woods. It is important, however, to select and correctly apply the right primer. Use oil- or alkyd-based primers or water-born stain-blocking primers on redwood. These primers are available from many paint manufacturers and are formulated especially for redwood, cedar and other wood with a high extractive content. Follow the manufacturer’s recommendations for application closely. The best finishes will not perform if they are applied incorrectly. High quality acrylic latex top coats provide the best durability. Are there different types of redwood? There are three redwood species. The Coast Redwood (Sequoia sempervirens) and the Sierra Redwood (Sequoiadendron gigantea) are native to California. The Dawn Redwood (Metasequoia) grows in China. The Coast Redwood is used to make redwood lumber and Sunshine Greenhouses. Is the Coast Redwood an endangered species? No. Redwood is not an endangered species. There are more redwoods today than when man first harvested the trees. Where is redwood harvested? Redwood lumber is harvested almost entirely from private lands. These lands are zoned for timber production. 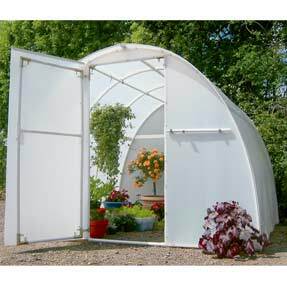 Is it necessary to acquire special tools to assemble a Sunshine Greenhouse Kit? 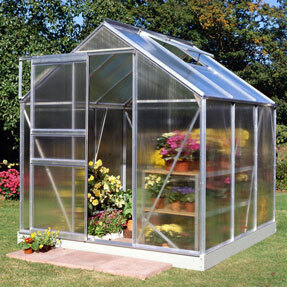 The major components of the Sunshine Greenhouse Kits are panelized to ensure an easy and sure fit. The panelized sections are joined by screws. A power screwdriver, a 6 foot stepladder, and a tape measure are all that is needed for easy assembly. 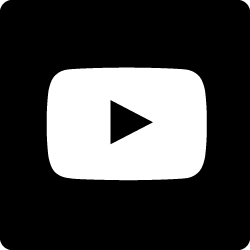 Do you offer a product video to assist customers in the assembly of the Sunshine Greenhouse? We include an assembly video with each 6' x 8' and 8'x 12' Sunshine Greenhouse Kit. How long does it take to assemble a Sunshine Greenhouse Kit? 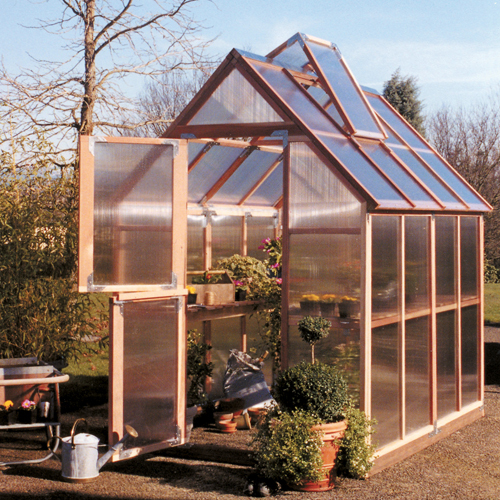 The ease of assembly is one of the outstanding features of the Sunshine Greenhouse Kit. We offer easy-to-follow assembly instructions with photographs, and an accompanying assembly video to assist our customers. The 6' x 8' model takes approximately 4-6 hours to assemble. The 8'x 12' models takes less than a day for the "non-builder" to complete. Does the Sunshine Greenhouse require a heater during the cooler months of the year? The greenhouse can easily be equipped with a heater for winter use. The heat retention of the double-wall polycarbonate panels is 40% more efficient than single pane glass. As an example, for a 6'x 8' Sunshine Greenhouse, when the outside temperature is 10 degrees F, and a 55 degree F temperature is desired inside the greenhouse, only 6,615 BTU's per hour of heat would be required. Details are available in the Sunshine Greenhouse Operation Guide included in each kit. Does the Sunshine Greenhouse have good ventilation and thorough air circulation? The roof vent allows air to escape at the hottest point, the roof ridge. Cooler airenters the base vent, creating a chimney effect, and thus circulating cool fresh air throughout the greenhouse. The convenient Dutch door provides additional ventilation control and easy access. Automatic solar-powered vent operators on the roof and base vents contain a paraffin (wax) cylinder that expands when the temperature reaches 65 degrees F, pushing the vent open to its fully opened position at about 85 degrees F. As it cools, the paraffin contracts, and the operator's spring draws each vent closed. It is easily detachable for manual operation. Is the Sunshine Greenhouse able to withstand High Winds without damage? The Sunshine Greenhouse has been tested by an independent lab, and has withstoodtheir maximum wind load capacity of 85 miles per hour without damage. Can the Sunshine Greenhouse withstand a heavy snow load? The optimum 45 degree roof slope sheds snow in the winter, and can withstand a snow load of 18 pounds per square foot. What is the Sunshine Greenhouse Warranty? All Sunshine Greenhouse Kits are guaranteed to be free from defects in material and workmanship for five years from the date of purchase. The polycarbonate glazing is fully warranted against excessive discoloration for the first five years, and has a prorated warranty the second five years. Additionally, defective parts will be replaced by Sunshine Greenhouses directly to the consumer. What is the Sunshine Greenhouse return policy? Any product authorized for return and refund will be charged a 25% restocking charge. No credit is given for products returned without prior authorization. How is the Sunshine Greenhouse Packaged for Shipping? The 6' x 4' kit is packaged in three boxes (Weight 191#). The 6' x 8' kit is packaged in four boxes (Weight 338#). The 6' x 12' kit is packaged in five boxes (Weight 438#). The 8' x 12' kit is packaged in seven boxes (Weight 587#). The 8' x 16' kit is packaged in eight boxes (Weight 712#). *The maximum weight of any box is 85 pounds, and any one of our kits will fit into a standard-size pickup truck. The delivery was right on schedule just as they had communicated. This little greenhouse was a snap to put together and I actually enjoyed the experience! With the instructional video and all the parts being clearly marked made the process very smooth. The greenhouse seems to be very durable and stylish, it blends in nicely with my redwood fencing around my yard.